Consequence of Sound and Rock it Out! Blog also have a day party taking place on Friday March 19th and Shiner’s Saloon. 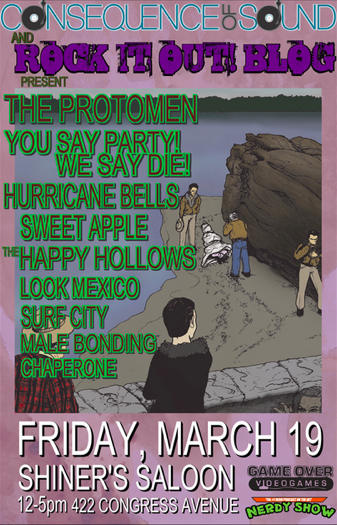 The party is free and features Sweet Apple and You Say Party! We Say Die! between noon and 5 p.m.